Food inflation and commodity prices hold the key to inflation trajectory going forward, said Dwijendra Srivastava, Chief Investment Officer-Debt, Sundaram Mutual Fund. Food inflation and commodity prices hold the key to inflation trajectory going forward, said Dwijendra Srivastava, Chief Investment Officer-Debt, Sundaram Mutual Fund in an interview to moneycontrol. Srivastava manages Rs 14,500 crore—roughly 50 percent of the AMC’s total assets-- across 11 fixed income funds, 4 capital protection funds, 22 fixed term plans and 9 hybrid funds. He expects consumer inflation to remain well within Reserve Bank of India’s target of 5.3 percent by March 2017, even if crude oil prices were to touch USD 60 per barrel because of tighter supply. However, Srivastava sees inflation crawling higher post March, because of factors like pay hikes for government employees and implementation of the Goods and Services Tax. The approved recommendations of the Seventh Pay Commission on pay and pension would put more disposable income in the hands of 4.7 million employees and 5.3 million pensioners, leading to increased demand for goods and services. Also, inflation tends to increase in the initial phase of GST as the tax rate on services rises because of the move to standardize tax rates for goods as well as services. Going forward, Srivastava expects bond market to draw support from open market purchases of bonds by the RBI as well as through forex purchases. So far, RBI has bought around Rs 1 lakh crore of bonds through open market operations and about Rs 60,000 crore of forex purchases, infusing Rs 1.6 trillon in the system. Srivastava a fitness freak and a numerologist, sees a possibility of one more 25 basis points rate cut by March 2017. "Governor has 2 votes in case of a tie, so the very constitution of MPC (Monetary Policy Committee) and its legal mandate is something which will keep the rates a little more dovish in this kind of an environment,” he said. Expectations of a further rate cut may take 10-year 2026 bond to 6.50 percent levels, Srivastava said. He believes agricultural credit may see a pick up given good monsoon and improved reservoir levels. Rates on 3-month money market instruments rates are expected to hover around repo rate while one-year papers could trade 25-50 basis points higher from the repo rate, Srivastava said. He sees the demand for corporate bond to hold up but he also believes that the spread on corporate bonds could narrow going ahead. “If the liquidity improves in these bonds the spreads from about 50-60 basis points could come down by 20-25 basis points over a period of time,” Srivastava said. 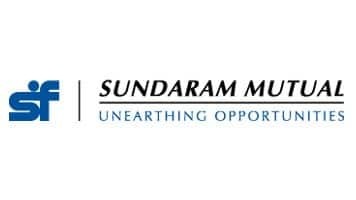 Sundaram Mutual Fund is seeing large investments in short to medium term funds. Srivastava added that that long term investors are staying put in the schemes but the fund house has not witnessed any new money flowing in to these long-term funds. Srivastava said the fund house is keen to launch a credit opportunities fund once it gets a go ahead from the Securities and Exchange Board of India. He advises new investors to deploy money in liquid funds, ultra short-term fund and accrual schemes.